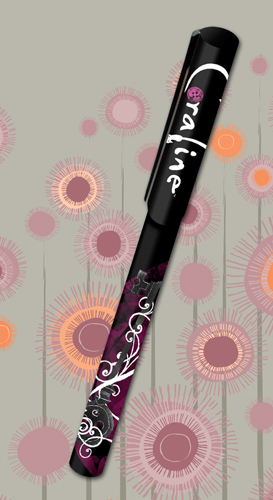 Write your own story of adventure with this barrel pen from Coraline! It features vines wrapped around a lost key and the movie logo. Writes in black ink, measures about 5”. Great for back to school or everyday use.